The Asia Pacific Foundation (APF) of Canada has named 21 individuals from across Canada as Distinguished Fellows. 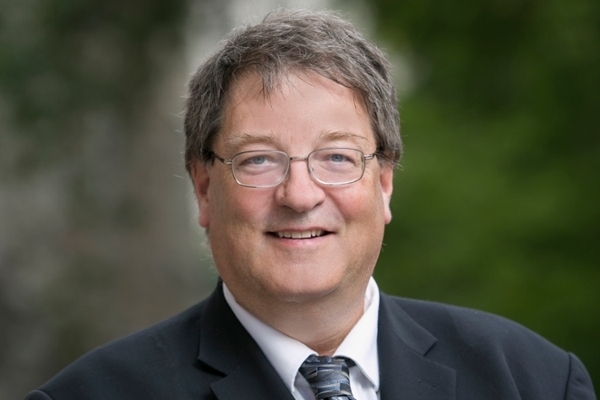 In December 2017, the Asia Pacific Foundation of Canada (APF Canada) announced 21 new and returning Distinguished Fellows, and among those honoured was Ken Coates, Johnson Shoyama Graduate School of Public Policy Professor and CRC, and his co-author, University of Saskatchewan Professor Carin Holroyd. "East Asia is crucial to Canada's future, providing markets for Canadian resources, manufactured goods and services. That being said, Canada is not doing enough to respond to opportunities that arise,” says Coates. “The Asia Pacific Foundation is a leading voice for evidence-based approaches to strengthening Canadian ties with Asia. It is a significant honour to be asked to serve as a senior fellow with this prestigious organization." Coates and Holroyd have a combined interest in Japanese innovation, leading to a series of studies on Japan’s innovation policies, the East Asian digital media economy, and the emergence of the digital content economy. They have long been interested in technological innovation and were deeply impressed with the efforts being made in Japan, South Korea, Hong Kong, Taiwan and China to capitalize on digital opportunities. Together, Holroyd and Coates have published a series of books on Japan’s innovation environment, including Japan and the Internet Revolution, Innovation Nation: Science and Technology in 21st Century Japan and most recently, Digital Media in East Asia: National Innovation and the Remaking of a Region. Ken was previously President of the Japan Studies Association of Canada. Carin is the current President. His previous work in rural and northern Canada stimulated a research interest in developments in rural Japan. Through research supported by the Japan Foundation, Coates conducted field research in Hokkaido and in other rural areas, focusing on local attempts to respond to the transitions of rural depopulation and efforts to use emerging technologies to create sustainable economic opportunities in these failing communities. "Ken's research in Japanese innovation and regional development strategies and his work in northern development and circumpolar affairs, are a prime example of how our researchers are using global knowledge and experiences to improve regional strategies right here in Canada," says Kathleen McNutt, JSGS Executive Director. "At the Johnson Shoyama Graduate School, we are educating our students to become global thinkers and are working with universities such as the Renmin University in Beijing to expand our programming and study abroad opportunities. The work that Ken is doing is a prime example of the benefit of thinking both globally and locally, and is something that we hope to share with our students." As Distinguished Fellows, Coates and Holroyd will provide APF Canada with valuable insight and guidance, participate in dialogues and public events, offer commentary and respond to media requests, and leverage their networks to assist APF Canada in its mission to be Canada's catalyst for engagement with Asia and Asia's bridge to Canada. The Asia Pacific Foundation of Canada (APF Canada) is a not-for-profit organization focused on Canada's relations with Asia. The organization is dedicated to strengthening ties between Canada and Asia with a focus on expanding economic relations through trade, investment and innovation; promoting Canada's expertise in offering solutions to Asia's climate change, energy, food security and natural resource management challenges; building Asia skills and competencies among Canadians, including young Canadians; and, improving Canadians' general understanding of Asia and its growing global influence.